At BC Basement Systems, we do not recommend this type of drainage system installed in your home. Instead, we suggest installing an interior basement drain along the inside perimeter of your basement or crawl space. For a free waterproofing quote in the British Columbia area, call or e-mail us today! A clogged French drain systems found installed around a home in Heffley Creek, BC. French drain systems have been installed on the outside of homes since the 1920s, and if they were the best way to dry a basement, BC Basement Systems would be installing them, too. 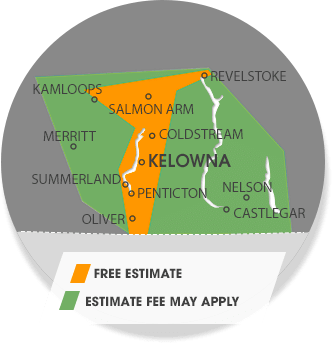 We service the British Columbia area, including Vernon, Kamloops, Kelowna, Nelson, Quesnel, Penticton, West Kelowna, Salmon Arm, Castlegar, Williams Lake, Trail, Coldstream, Winfield, Westbank, Armstrong, Chase, Oyama and nearby.